Social Kinnect has won the digital mandate for Raymond Custom Tailoring and Raymond Rewards, an offering custom-tailored to ensure a unique bespoke experience. The mandate was won following a multi-agency pitch and will be operated out of the agency’s Mumbai office. Under the mandate, Social Kinnect – India’s foremost independent digital marketing agency – will be responsible for carving a social media roadmap for both the brands across creative, media and ORM-led services. 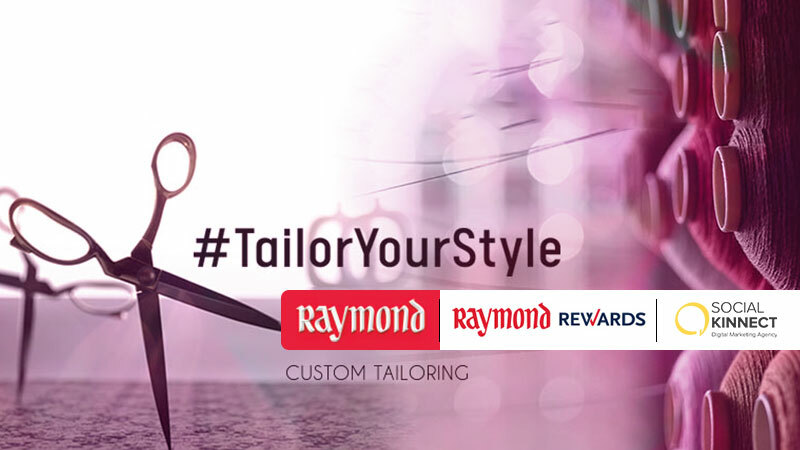 Alongside custom tailoring, Raymond also offers Raymond Rewards – a loyalty program that lets you earn and redeem points across stores in India under the brand names of ColorPlus, Parx, Park Avenue and Raymond. Commenting on the appointment of a new agency, Sudhanshu Pokhriyal, President, Textiles, Raymond Limited said, “In today’s internet consuming world, digital marketing is critical to bring in eyeballs and subsequent conversions for any business. We were looking for a partner to help us on this journey of redefining men’s fashion through Mass Personalization that is technologically enabled. Getting Social Kinnect on board, who bring in a gamut of new ideas and concepts, will help us in achieving our set objectives through innovative digital marketing ideas and help us build robust ORM platform”.